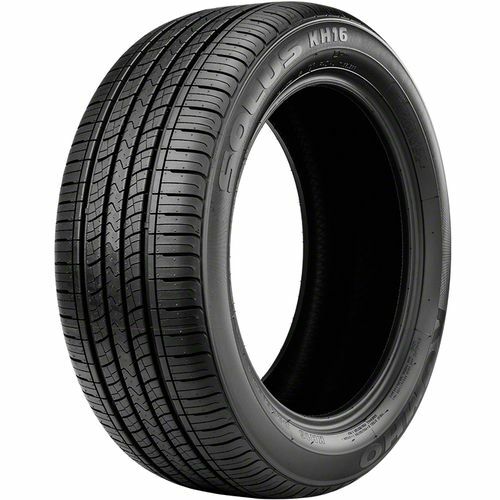 The Kumho Solus KH16 is a grand touring all-season tire specially developed for drivers who are looking for handling performance, year-round traction, and comfort. 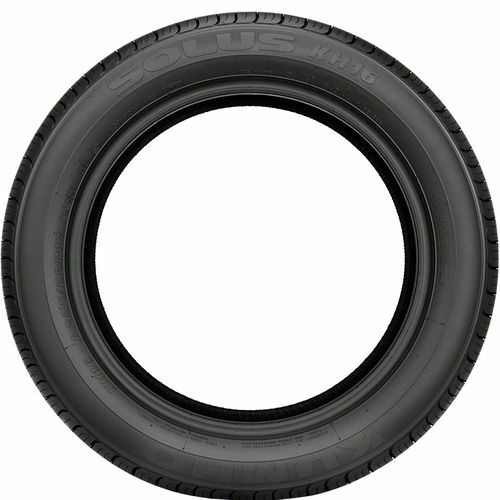 Ideal for sporty coupes and sedans, the Kumho Solus KH16 makes for an excellent substitute for your original equipment tires. 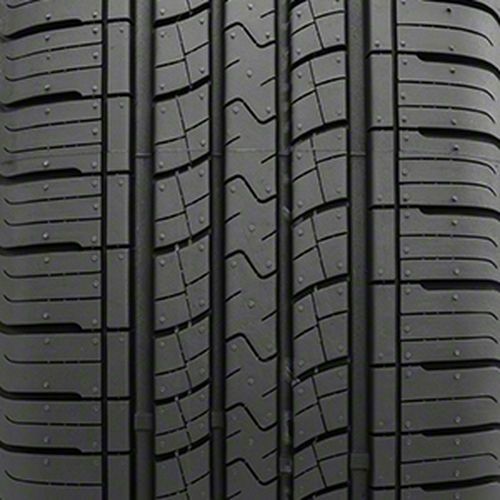 It features a specially formulated tread compound molded into a symmetric tread pattern to provide reliable traction in both wet, dry, and light snow weather. The tread design consists of multiple lateral and full-depth circumferential grooves to improve traction on wet and snow-covered road surfaces. Helping it absorb bumps while maintaining response is its optimized casing shape, tread contact, and sidewall stiffness. The variable pitch tread blocks reduce road noise so you and your passengers can enjoy quieter rides. To get the most out of the Kumho Solus KH16, it is recommended to use them in sets of four. It is backed by a 60,000-mile treadwear warranty. 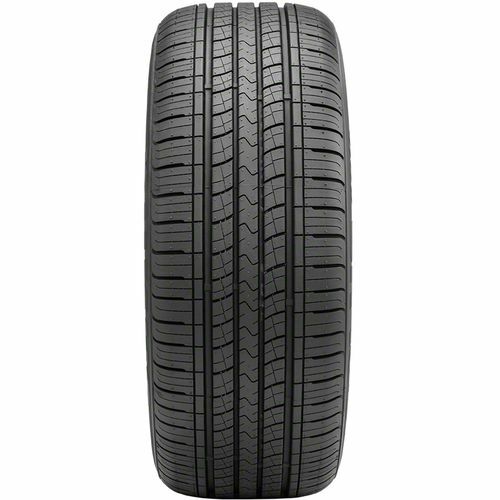 P225/50R-17 440AA 1,433 lbs 44 psi 10/32nds 6.0-8.0" 9" N/A 26"
Purchase includes the Kumho Solus KH16 tire only. The wheel rim shown in the picture is not included. Picture provided is a stock picture from the manufacturer and may or may not reflect the actual product being ordered. All Kumho Solus KH16 tires are continuously developing with manufactured improvements. With that said, Simple Tire and the manufacturers have the right to change these tire specifications at any time without notice or obligation. Please Note: Specifications of the Kumho Solus KH16 tires shown above are listed to be as accurate as possible based on the information provided to us by Kumho tires. Great tires, delivery was on time. These are used on the rear of our 2013 Smart car. I have found these last longer than any of the other brands. They work very well also with our Wisconsin winters. I gave only four stars on tread life as we can not rotate front and rears on the Smart but they last longer than other brands that cost much more. KH16's are my "go to" tire for our Smart car!